Just months after Uber persuaded a London judge to allow it to keep operating in the city, the ride-hailing company is back in court. At stake this time is an issue that could strike at the core of the UK’s burgeoning gig economy: whether Uber’s drivers are really self-employed. Two days of hearings kick off at the Court of Appeal on Tuesday against the backdrop of what one trade union predicted would be the UK’s biggest-ever march of “precarious workers” - from Uber drivers and riders for food-delivery apps such as Deliveroo to outsourced cleaners and restaurant workers. James Farrar and Yaseen Aslam, the Uber drivers spearheading the London case, say they should be classed as the company’s “workers,” meaning they’re entitled to the minimum wage and vacation pay - though they don’t claim to be "employees," a category that would’ve given them even more rights such as parental leave. The case could “have a big effect for everybody in the gig economy,” according to James Murray, an employment lawyer at Kingsley Napley in London, who isn’t involved with the case. If Uber has to start treating its drivers as workers, companies with similar models such as Deliveroo may have to do the same, he said. The case is “incredibly important” because it’s “going to be the case that sets the tone for the gig economy,” said Paul Jennings, an attorney at the London-based law firm Bates Wells Braithwaite, which is representing Farrar and Aslam on a pro-bono basis in their fight against the San Francisco-based firm. Uber, which has already lost two UK lower court rulings in the case, said that the most recent defeat was due to a fundamental misunderstanding of “how we operate”. Other lawsuits have found in favour of employment rights for those working in the gig economy. 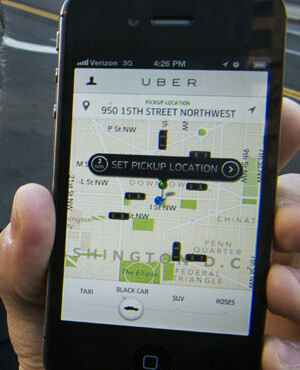 The Uber case could be even more significant than those, because its app-based model is more typical of the gig economy, meaning the case could have wider consequences, according to Murray. The UK’s top judges ruled in June that Pimlico Plumbers should have treated its tradesperson as a worker giving him the right to vacation pay and to sue the company. In May, the UK car service Addison Lee lost an appeal in a case over drivers’ rights and in 2017 a London employment tribunal found a cycle courier working for CitySprint was a worker. “The mood is going one way with the courts, and that’s towards giving workers their rights,” said Murray, from Kingsley Napley. Farrar and Aslam are what’s known as “test claimants” whose cases have been chosen to represent an estimated 150 other drivers who’ve brought similar lawsuits. If Uber ends up losing the case, those drivers will automatically also be entitled to back-pay for the minimum wage, Jennings said. On top of that, the lawyer said, there could be class action-style cases by more drivers which “potentially could be very, very large and very, very valuable”.